Not Doing Your Job Properly | hesaidwhatnow? People make mistakes at work all the time: turning up to a meeting with lettuce in your teeth, slamming the boss in an email and accidentally sending it to the whole office, or only realising at 3pm that you haven’t been wearing pants all day. Given the monotony of working life, most of these mistakes are forgivable. However this last fortnight there seemed to be a lot of mistakes made on the job that go beyond the ordinary levels of incompetence. Put it this way: these particular mistakes involved free money, dead people, and unicorns. I’m not even kidding. 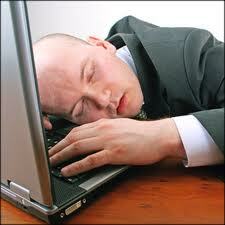 The first workplace blunder occurred in Germany, where a bank worker took an inopportune time to have a nap. The worker was supposed to make an online transfer of 62.40 Euros to a client, no doubt a simple and menial task. However, the employee “fell asleep for an instant, while pushing onto the number 2 key on the keyboard.” As a result the small transfer became a whopping 222,222,222.22 Euro payment. If only he fell asleep on the 9 key. The best part is that the employee’s boss, who didn’t even have the lame excuse of being asleep, authorised the transaction despite the mammoth error. The boss got fired for his oversight, although Germany’s employment court later had him reinstated. It’s quite possible that the Judge fell asleep and accidentally hit the ‘unfair dismissal’ button. Don’t put this guy in charge of entering the nuclear launch override sequence. If you think that was a big oversight, try this one on for size. An iFly Airbus 330-300 touched down at a Moscow airport where maintenance workers discovered something in the wheel well: nothing unusual – just a dead man. How the man managed to get into the wheel well unnoticed was one thing, but the scary thing is that he stayed there for no less than seven – seven!!! – flights before being found. Either that guy was the best hide and seek player of all time, or the iFly team need to take a serious look at how they do business. If you accidentally leave nail clippers in your carry-on baggage six different people will discover it before you even make it on board. Stow away in the wheel well and no one will notice for seven flights. Actually, maybe attention to detail isn’t quite as high a skill in the aviation industry as one might think. In Turkey, the Harris family went through customs without a hitch, ready to start their holiday. Whilst normally that wouldn’t be a problem, in this instance it was a little unusual, given that the passport 9 year old Emily used to go through customs was that of her toy unicorn. To summarise events: mum and dad present their passports, their passports are inspected by Turkish customs officials, they get their passports stamped. So far so good. 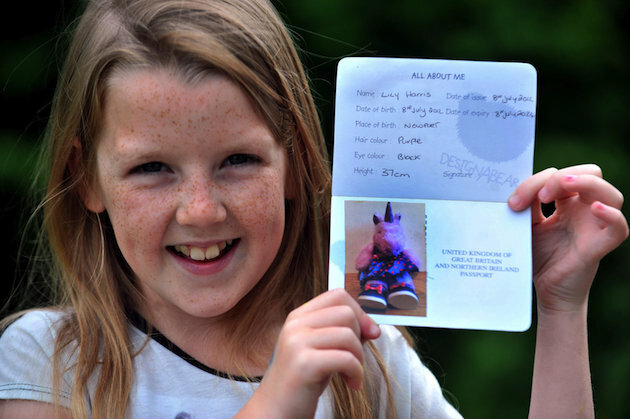 Next mum accidentally hands her daughter’s toy’s fake passport to customs instead of the real thing. The passport is twice the size of a normal passport. It has a giant golden teddy bear on it. It also, inside, has a picture OF A PURPLE FREAKIN’ UNICORN!!! The official inspects it, even asks Emily her age, and then stamps it, ushering the family through. There are only two possible explanations for this. One is that the official was, in huge quantities, some combination of bored, distracted, or incompetent. Two is that Emily is purple and has a horn protruding from her forehead. Either way, something is not right here. When asked by a reporter if she thought the story was funny, Emily stomped the ground with her hoof twice and then healed the reporter with her magic tears. It hasn’t been confirmed whether or not the toy unicorn has been travelling on Emily’s passport. Finally an example of someone doing their job correctly, albeit in the most unusual manner possible. The Spanish town of Brunete, near Madrid, was having a problem with some of its citizens. Specifically citizens who allowed their pet dogs to leave smelly ‘presents’ on the pavement without picking them up. The Brunete Council came up with a radical solution: they mailed the dog doo-doo back to the owners. Talk about junk mail. The method of tracking down the culprits is actually quite clever. Council officials would patrol the streets, and if they saw an owner failing to ‘scoop the poop’, they would strike up a friendly conversation with them and find out the name and breed of their dog. With that information they could identify the owners through the town’s pet database, and send the offending deposits to them in a package marked ‘lost property’. It is not known whether the packages were set alight and left on the owners’ doorsteps before their doorbell was rung. Interestingly the Brunete Council sent a ‘package’ to the owners of iFly, but it had little effect – they still haven’t found it. Tom Cruise earned US$50,000.00 in 1981 for his appearance in Taps. For Mission Impossible III he earned $75,000,00.00, or 1,500 times more than his first pay check.